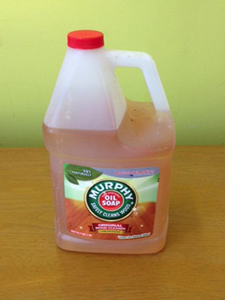 We recommend cleaning wood and painted surfaces with Murphy’s Oil Soap which can be purchased at most supermarkets or hardware stores. Murphy’s is extremely gentle, yet effective. Never use abrasive or harsh cleaners on paint or wood; they contain detergents which can be harmful. We also advise customers to stay away from silicone-based dusting sprays, such as Pledge, as they build up a residue that can trap dirt and grease over time. We ordinarily seal our wood pieces, particularly dining tables and coffee tables, with multiple coats of an oil-based polyurethane in order to provide the best protection possible against liquid and grease associated with food. However, no sealer is impervious to continuous contact with liquid or dampness. So . . . NEVER leave a glass or mug or vase with liquid in it –hot or cold--on an unprotected surface. Use coasters and hot plates. And be sure to protect your surface if you place a plant on it. You may own vintage pieces that have only been treated with Danish Oil as this was the traditional treatment for Danish pieces, particularily those made from teak. Such surfaces are less resistant to oil and liquid than those with a polyurethane finish. Typically, it was expected that Danish Oil would be reapplied periodically to keep the finish fresh. Older teak pieces will come alive with the application of Danish oil. It will enrich the wood and blend scratches. For heavier damage, Danish oil that contains stain (it comes in many colors) will be even more effective. 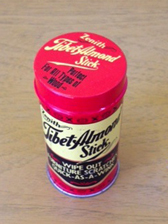 A product called Tibet Stick, available from most hardware stores can also be effective in blending scratches on wood furniture. We typically seal our painted pieces with a water-based sealer. Again, however, wood, paint and liquid don’t go well together so take the same care with paint as you would with wood surfaces. We recommend glass tops if you anticipate that your wood surfaces will get heavy wear. The good news is that in the case of paint, it is easy to touch up any nicks and scratches with a little fresh dabbed on the spot. We are happy to provide you with small pots of touch-up paint.